With yet another edition of Art Basel, after the Miami chapter late last year and the Hong Kong version earlier this year, galleries, artists, art collectors, aficionados and amateurs did not miss their yearly rendez-vous in Switzerland this June, between the 18th and the 21st. Skarstedt gallery exhibited a wide selection of works by Fischl, Boetti, George Condo, Willem de Kooning, Keith Haring, Mike Kelley, Albert Oehlen, Richard Prince, Cindy Sherman, Rosemarie Trockel and the legendary Andy Warhol, along with a larger than life sculpture (right), by German contemporary artist Thomas Schütte, one of the most important artists of his generation and whose art take different and often contradictory forms. 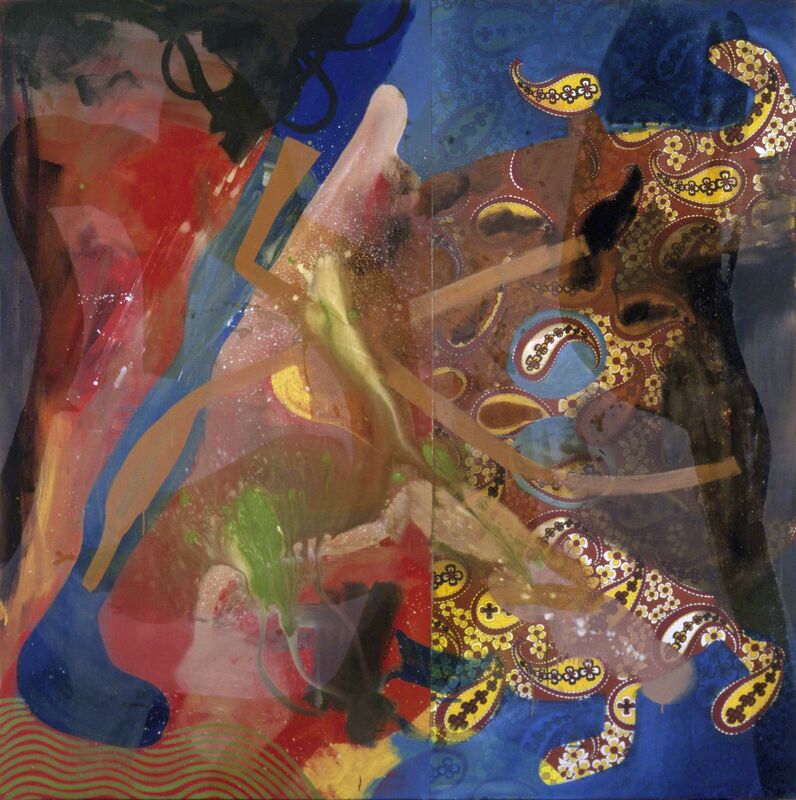 Also featured here is German artist Oehlen with one of his iconic 1992 fabric paintings (below right) that moved away from his earlier strict, formal compositions. A fluorescent acrylic piece (below left) by American graffiti artist and social activist Keith Haring left us wondering if it would glow in the dark. 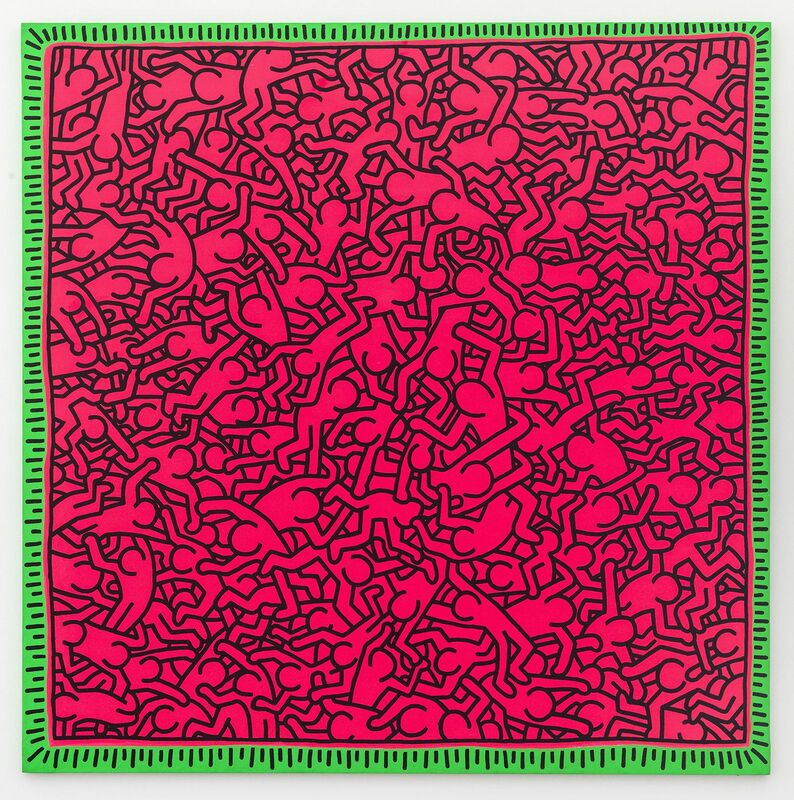 Known through New York’s street culture of the 1980s, Haring depicted concepts of birth, death, sexuality and war, raising awareness about AIDS, from which he later died. New York based gallery Mitchell-Innes & Nash presented work by modern & contemporary masters Matisse, Picasso, de Kooning, Fontana, Giacometti, Jack Goldstein and Schwitters, as well a large number of other artists: Jean Arp, Anthony Caro, Jay DeFeobb, Keltie Ferris, Gonzalo Fonseca, Karl Haendel, Leigh Ledare, Daniel Lefcourt, Roy Lichtenstein, Eddie Martinez, William Pope.L, Amanda Ross-Ho -to name a few. 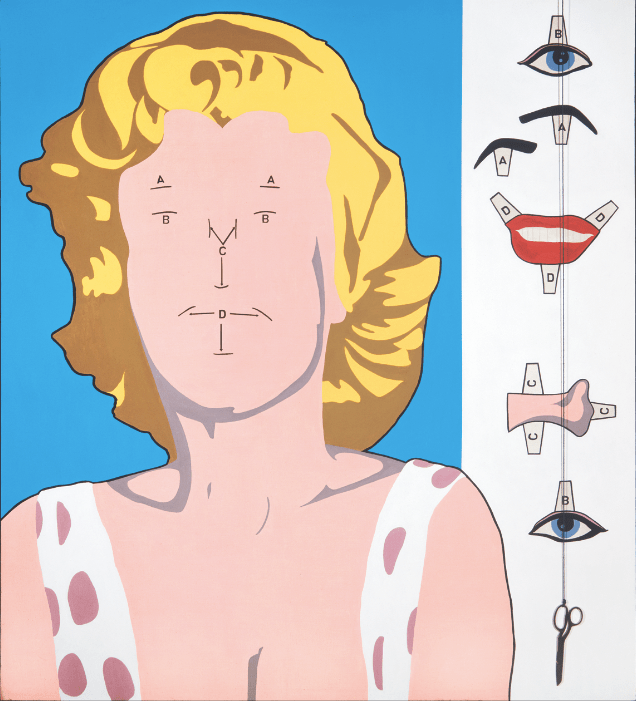 Allan D’Arcangelo‘s Marilyn (right) took on a fun DIY spin with a deconstruction of Marilyn Monroe’s face and a display of the different parts labeled with numbers corresponding to their rightful place on her blank, numbered face. 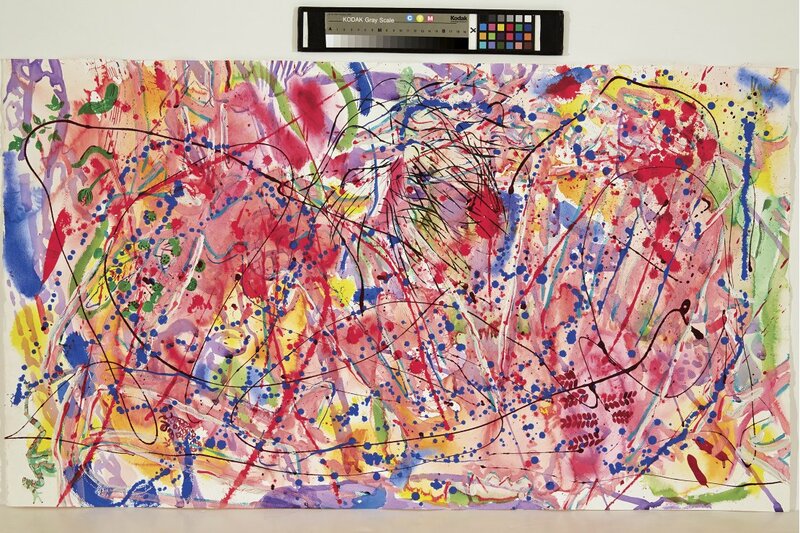 Hide-Seek (below) by Nancy Graves, an abstract explosion of colours with streaks of a single dark shade, appeals to each viewer’s own perception and inner state; what might be viewed by one as “just colours on a canvas”, could be seen by another as a female dancer swirling in a garden.